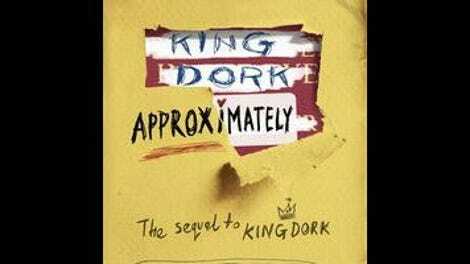 Frank Portman’s great new novel, King Dork Approximately, is a lot like its 2006 predecessor King Dork. It falls into a long tradition of stories written for young people about loners standing against the crowd. From The Perks Of Being A Wallflower to I Am The Cheese to Huckleberry Finn, this template seems to naturally resonate with teenagers, who have only just come to realize the disappointments of adulthood while still navigating the emotional pitfalls of being kids. Much like Portman himself, especially his work as the creative force behind seminal pop-punk band The Mr. T Experience, Tom is irretrievably, hilariously against any collectivism at all, even the collectivism of those who would champion the individual. Sure, there are gradations of “them”-ness in Tom’s world, the worst of which being the psychotic “normal” people—jocks, cheerleaders, and their minions. But even those who usually would be seen as rebels or counterculture freedom fighters, like Tom’s middle-aged hippie stepfather “Little Big Tom,” are reserved a special place in Tom’s catalog of horrors. For him, the peace-loving, would-be rebels, and their dogmatic enforcement of the spirit of the ’60s, are in some ways more sinister than the blatant fascism of the “norms.” Tom refers to these neo-hippies as “The Catcher Cult,” named after the book they foist upon the world like some sacred text, revering that book’s hero, Holden Caulfield, as the ultimate “individual.” Never mind that in canonizing J.D. Salinger’s ur-brat, they act like the fascists they claim to hate. The deeper irony is that, in rejecting “The Catcher Cult,” Tom ends up behaving a lot like Holden Caulfield himself. This is all to say that the main appeal of Portman’s appealing creation is the realness and insularity of his main character. The world of both King Dork books is, essentially, the inside of Tom’s mind. His idiosyncrasies and many obsessions—which include cryptography, literature, revenge, coded speech, inside jokes, the occult, girls, and most of all, rock ’n’ roll—are what drive the story forward and give it meaning. The first King Dork book involved a mystery story, where Tom tried to investigate the possible murder of his father. But the “clues” he followed to unravel that whodunnit were mostly pieced together from his own interpretation of a series of notes left in the pages of some of his father’s books. He approached the issue like a puzzle to decode, where every bit of information had equal relevance, rather than a reality to uncover. Tom’s obsessions, his endless mulling of every minor detail, act as a sort of source code for the book’s action. This second one is more a high-school romance than a mystery, slightly less obsessive and paranoid but still following the same general method. Tom is forced to change schools, leaving behind the dreaded, sociopathic “normals.” The social structure at his new school holds subtler tortures for him, not least of which being that he seems to actually make a few friends and attract the attention of a couple girls. He even goes to prom. But while Tom’s life becomes more conventional, it’s still filtered through the same endlessly cynical perspective. Both books follow the musical exploits of Tom’s band—or bands, if you count as a separate entity every new band name that emerges from Tom’s conversations with his best friend, Sam Hellerman. By the end of King Dork Approximately, there are about 100 different iterations, each one funny and unique. Anyone who ever strapped on a pawn-shop guitar and tried to windmill like Pete Townshend will find these passages, along with Tom’s long, windy rants about the state of modern pop culture, recognizable. It’s hard not to be a little disappointed that Portman’s second outing in the King Dork-iverse doesn’t pick up the same mystery arc started in the first book. (Which isn’t to say that story doesn’t continue, sort of.) But the romance story of King Dork Approximately is so satisfying in its own way, that this disappointment doesn’t last long. Portman has said that he will write at least one more book in the series, titled King Dork Abroad, which will take on the spy-novel genre. If that book maintains the same level of quality, one can only hope the writer follows this pattern further and writes as many King Dork books as there are genres for him to explore. 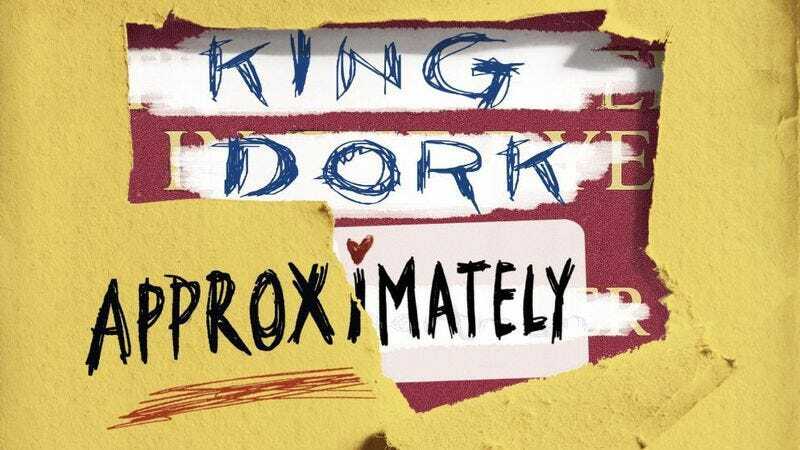 This is a terrific, fun, terrifically fun novel, and the King Dork series is one of the best Young Adult creations. UPDATE (12/16/14): An earlier version of this review used an uncleared author image.